You are here: Home / News / Could digital pop-up books be reinvigorating an interest in reading? Could digital pop-up books be reinvigorating an interest in reading? Augmented reality children’s books are growing in popularity, and have been since the Pokemon Go augmented reality game craze. 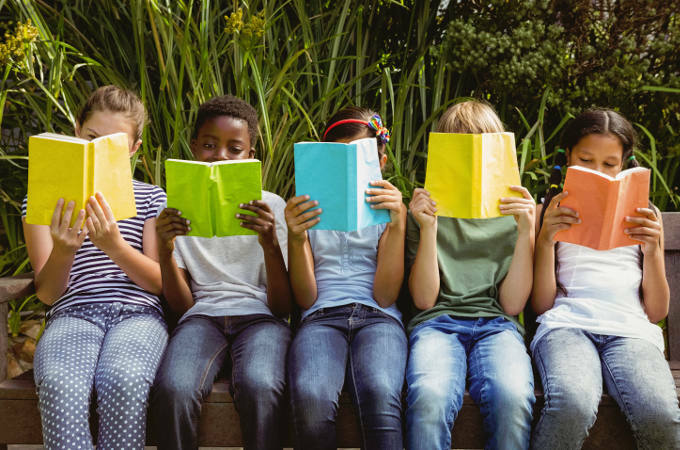 With children increasingly engaged with technology from an early age, a move to join up traditional reading with technology could be the smartest move yet to reinvigorate an interest in reading. Primary teacher, Frankie O’Reilly’s children’s novel, The Boy with his Head Stuck in a Book, uses augmented reality in an attempt to engage Year 6 boys in reading. While augmented-reality books have been on the scene for a few years, this is thought to be the first written for the key stage 2 curriculum. Ms O’Reilly’s journey with The Boy with his Head Stuck in a Book started as a poem in a bid to get the boys in her classroom engaged with reading. The story is about a boy who is forced to go to the library, but doesn’t like reading, until he discovers a magical book. Ms O’Reilly soon realised that books and stories alone weren’t going to be enough to inspire the boys in her class to read, but she knew that putting an iPad in front of them had a different effect. Augmented reality is a ridiculously good idea when it’s teamed with a great story, and The Boy with his Head Stuck in a Book is great read about a mysterious book with a mind of its own. Anyone reading the story is catapulted into a magical world filled with dinosaurs, dragons, pirates and ghosts. The technology works by downloading an app to your smartphone (in this case Zapper), and then snapping pages when instructed to do so. You then bring the story alive on your phone. It’s definitely a book to inspire a love of books. For a preview take a look at Zappar’s YouTube clip. You can’t fail to be impressed. Digital pop-up books could be the best move yet to inspire kids to read again.